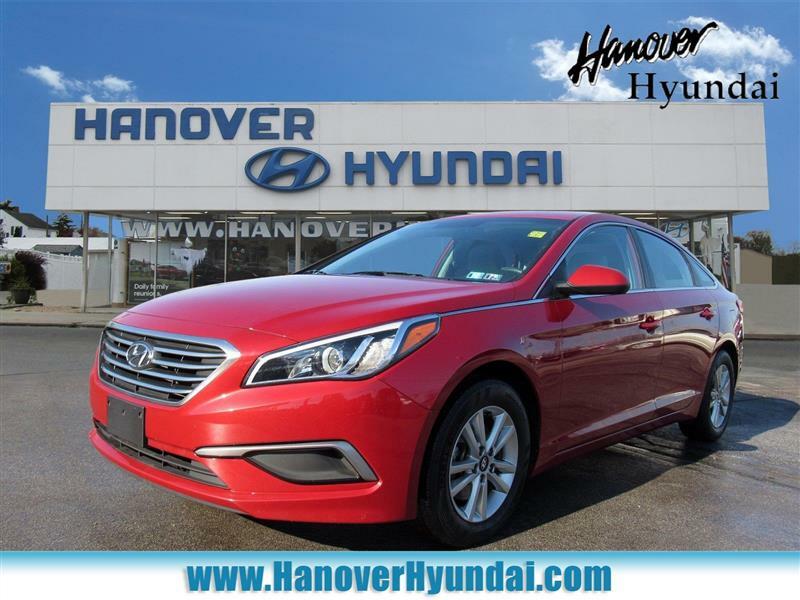 Turn heads in this seductive 2017 Hyundai Sonata 2.4L in Scarlet Red! Powered by a 2.4 Liter 4 Cylinder that offers 185hp while connected to a 6 Speed Automatic transmission. This Front Wheel Drive Sedan executes precisely to provide confident and responsive handling along with near 36mpg on the open road. Immediately eye-catching and altogether irresistible, our Sonata is sculpted to perfection, enhanced with beautiful alloy wheels, LED daytime running lights, and chrome-tipped dual exhaust.The spacious 2.4L cabin features class-leading space with an 8-way power adjustable driver seat with lumbar support, power windows/locks, 60/40 split fold-down rear seat back and steering wheel-mounted audio/Bluetooth/cruise controls. You'll also appreciate an AM/FM/SiriusXM/CD/MP3 audio system with a prominent touchscreen and Apple CarPlay/Android Auto.Hyundai keeps you out of harm's way with anti-lock disc brakes, traction/stability control, and advanced airbags. Get behind the wheel to experience the superb craftsmanship of this premium Sonata 2.4L! Print this page and call us Now... We Know You Will Enjoy Your Test Drive Towards Ownership!